The customers in today’s dynamic world are on the go and they’re using mobile applications in order to fulfill their specific requirements and perform complex tasks. Ever since their inception, these apps have not left any chance to surprise entrepreneurs with their magical power to engage with a wider and a global customer base. Still, the app development process is considered to be tedious and time-consuming. Some organizations even keep themselves away from building an app because they have a firm belief in some random mobile app development myths. Let’s explore such eleven myths rotating the marketplace in 2019 and try to bust them for once and all. Its believed that for developing an app all you need is just an idea. But it’s not the truth because you can never convert your idea into a fully fledged mobile app without checking its feasibility and scalability in the volatile market scenario. This is the main reason why most of the app ideas can never come to fruition. Also, you need to strike a balance between your idea and the budget for app development. The budget isn’t the same for building every individual mobile app. Therefore, assess your financial plan and customize your idea to fit into its criteria. Mobile app development is not only about coding. Of course, developing superior Android and iOS apps require high-quality coding in the backdrop. But there are several other factors needed to be considered for creating an impressive app such as UI/UX, programming languages, development tools, etc. The mobile app development process has multiple stakeholders under its umbrellas such as investors, app owners, in-house IT team, programmers, and many more. You have to make sure that all these professionals are on the same page then only the entire process can be executed well. It’s true that the market has several app development tools and frameworks to ease the entire process of building an app. But it doesn’t mean that these platforms are more than enough to let you create your own app. The process is a bit more complex and one has to go through different stages such as features listing, graphical interface, beta testing, etc. Considering these stages the process can take up to one year and you have to maintain your calm during this span of time. Once the app is fully built, it has to be submitted to an app store in order to grab better ranks. Definitely app store optimization can do the trick for you. But it’s not the only practice needed to do this. It also matters the way in which you are displaying your app in front of the targeted audience. Also, the core functionality of your app should be in accordance with its description then only the users will feel convinced and would love to use the app frequently. It does not matter how many people are downloading your app. But the major concern is how many of them are active users? Yes, if the users are using your app on a regular basis then only it will sustain in the competitive marketplace. Therefore, after launching you have to ensure that the customers are using your app frequently and in case they are not you should take the necessary measures. Yes, we agree to the fact the finest graphics are one of the many integral factors responsible for making your app success. But there are several other factors that make sure that your app is a big hit. Some of these factors are seamless user experience, intuitive user interface, and easy navigation. In case users will find your app confusing or complex they will definitely uninstall it immediately after using it for once. See even if you have built an amazing app, but no one knows about it except your own team then it will be of use. This makes it essential for you to adopt different marketing tactics and channels so that to spread a word about your app. It’s true that due to the availability of multiple platforms mobile app marketing has become a bit expensive. But if executed in the right way you can cut costs down to a great extent. Just you need a logically drafted marketing strategy and learn the knack of taking advantage of unpaid platforms. For example, ResumeSeed leverages SEO to generate traction. Also, you must consider emails, social media, and review marketing as integral assets to formulate a marketing plan. It’s shocking but still, some people believe that websites provide a better experience in comparison to a mobile app. 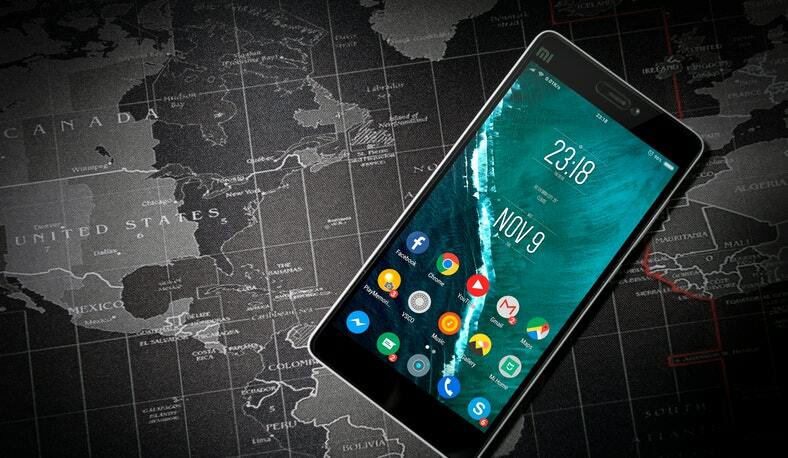 But this notion can be proved wrong with exploring the exclusive report of Statista.com which revealed that in 2019 the total number of mobile users will be around 2/3rds or 67% of the whole population of the world. This study is more than enough to prove that apps have become the one-stop shop for customers for performing each and every activity like shopping, cooking, entertainment, meditating, etc. You can analyze the performance of your app and functionality by evaluating app analytics. But there are many other ways to measure the performance in a much better manner such as by comparing app’s performance on different screens and recognize screens at which users leave the app more often. Also, you can trace tricky involvements and look for screens with minimum involvement. It’s a common app development myth that by stuffing more features you can make the app better. Do not incorporate lots of features otherwise, your app will definitely experience memory hogs. Also, it can become extremely slow and can spoil the overall interface. It’s a good idea to keep the focus on usability and simplicity and not to overburden the backend with heavy loads. Cross-platform app development saves a lot of your time, money, and efforts. But you can’t build a successful app in the first attempt. You have to be cautious from the start and evaluate the possible opportunities for scaling your app might have in the future. Considering the complexity, it’s advisable to note down essential features and build a preliminary version that can be taken for beta testing. After removing all bugs you can take the necessary steps to add specific functionality and making an app more efficient and responsive. In the contemporary market, you can use multiple development tools such as Xamarin, SOASTA CloudTest, and Nessus in order to simplify the entire process of app development. But the truth is that in spite of all these amenities app development needs time and patience to wait for getting the best product after several attempts.